Understand the basic usage of the Flite Test EDM and the Design Brief Documentation by practicing the process through a simulated problem. Understand the general information of Bernoulli’s Principle. Understand teamwork and collaborative design. TEACHER NOTE: Day 1 - This would be considered the Research stage of the EDM. Inform students that they are in the Research stage, and have them follow your lead using the Gradual Release Model. 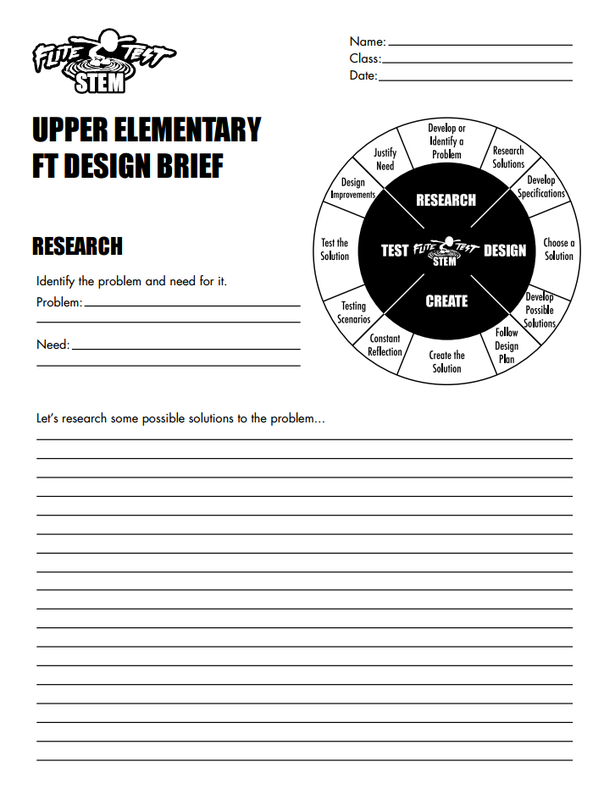 Have students record in the FT-Design Brief (See attached for printing). Introduce the concept of engineering, what engineers do, examples, etc. This can go as in-depth as needed. The main takeaway for the students is to understand that engineers solve problems. 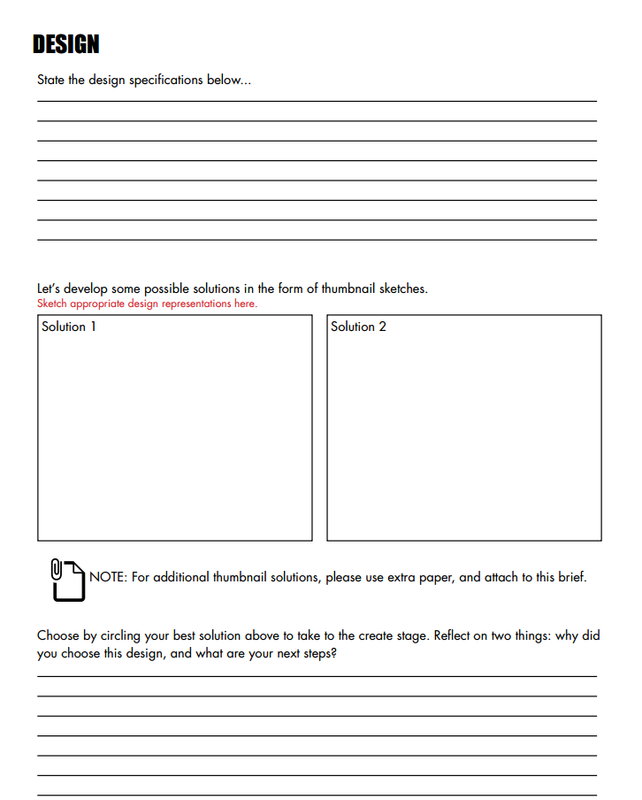 Introduce the students to the FT-EDM Template (See Teacher Resources to download EDM Template for printing) for how to approach a problem. State the following to them: Create an aircraft using no more than four pieces of paper and the given supplies that can transport the “GREMLIN” a total of 20’ safely.Have the students record in Design Briefs. Begin research by introducing Bernoulli’s Principle of fluid flow and the concept of an airfoil/wing and how it works. Quick Connections: Have the students blow at the end of a paper to make the paper rise, stating that this is how a wing works. The air travels faster on top of the paper, creating low pressure. The air traveling below the paper is slower creating higher pressure. Due to the pressure differences, the paper lifts! This is a tough concept to grasp as an early elementary student, so making this quick and fun for the students is key. After helping the students to understand Bernoulli’s Principle, demonstrate how engineering has been able to apply this concept to actual flying aircraft. Show aircraft designs to the students (web search images of planes, and have displayed if possible). Tell students to look closely at the aircraft so that they can use them as a reference for their aircraft design. 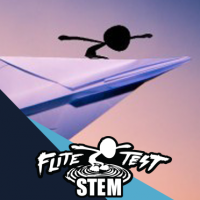 Make sure students can identify the main elements of an aircraft: fuselage, main wing, and vertical/horizontal stabilizers (they should already have an idea of these elements after using the FT-Cub Design Guide). Have the students draw a plane, labeling the different elements in the same box as the airfoil diagram within their Design Brief Research section. 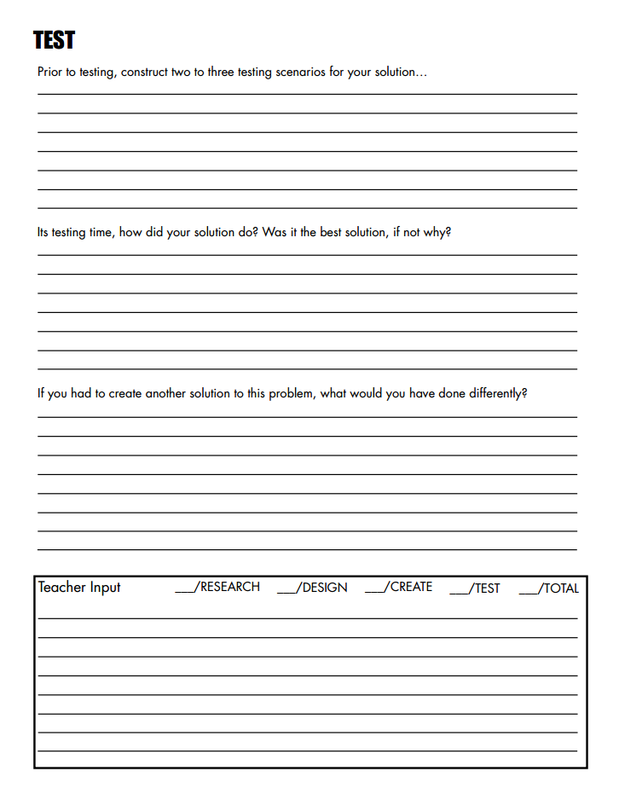 TEACHER NOTE: Day 2 – It is time to start designing possible solutions. Inform students that they are in the Design stage so that they can reference back to their Research stage when formulating a design. 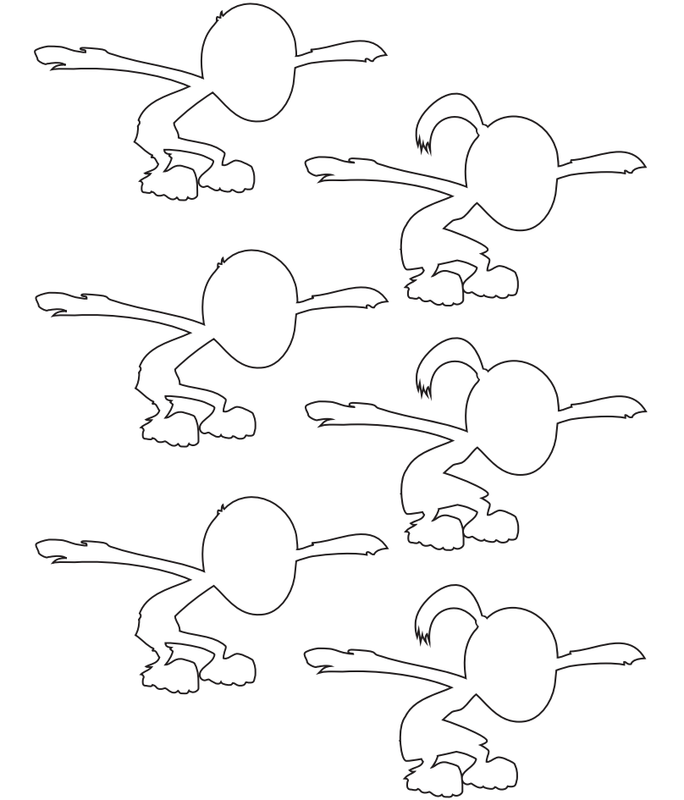 Assign teams of three, and provide all necessary materials from the list above, including the FT-Gremlin Coloring Sheet. Have the students cut out and color their Gremlins in preparation for flight. Under the Design section of the Design Brief, students should work together to sketch and discuss some possible ideas for safely flying the FT-Gremlin past 20’ on a paper airplane. Students might need paper in hand in order to develop ideas. After generating some possible solutions, have students choose one to transfer to a final drawing on an FT-Design Paper. 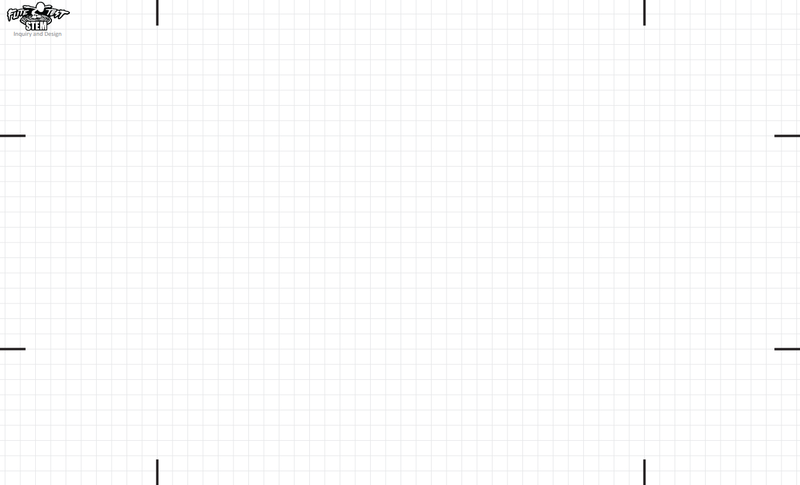 Ask students to use a ruler to draw their final design. Once all groups have their chosen design, come together, and have the students share their possible solution to the problem. TEACHER NOTE: Day 3 – Creation time! 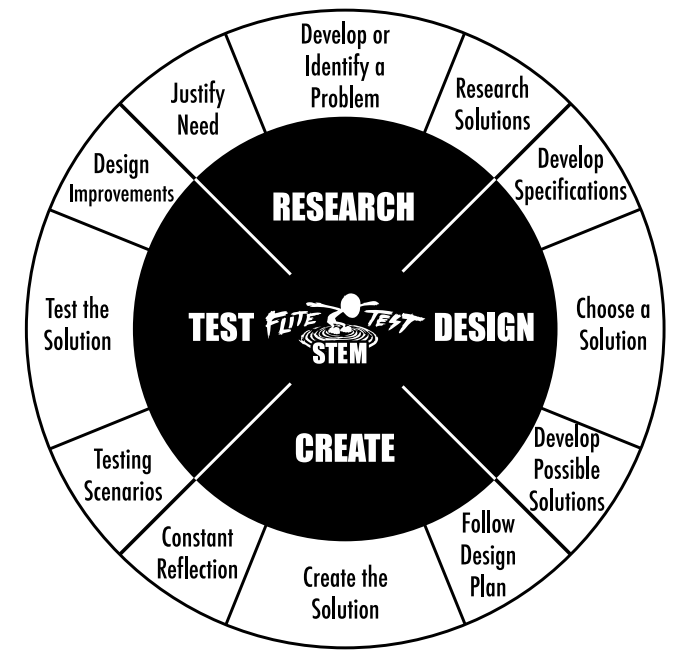 Inform students that they are in the Create stage so that they can reference back to what they learned from the Research and Design stages when constructing their aircraft. Have the students do their best to follow their design plan while they create their aircraft. Allow the students to test during this stage as many times as needed in the given time duration. Share this tip for success with the students: try moving the Gremlin forward and backward along the paper airplane to adjust the balance of the plane during flight. Even if the plane does not fly, it may not be a bad design. Have students move the Gremlin forward or backward using paper clips or staples to see the effects prior to moving on to another plane design. Adjust the time constraints based on the class. When time is up, have students hold onto their final product that is ready to take on to the final stage. After creating their plane, have the students reflect on what went well and what did not. Did they make any changes to their design? If so, why? If your students are capable of recording this, have them do so in the Create section of the Design Brief. 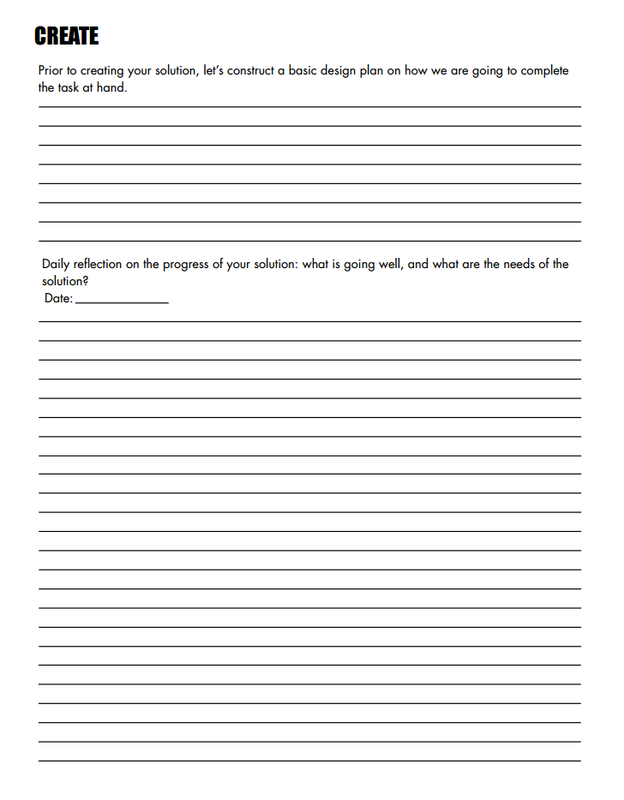 TEACHER NOTE: Day 4 – Test Day. Inform students that they are in the Test stage, and get ready for the Gremlin to Fly! Prepare the students mentally. Tell them that it does not matter how their product performs; all that matters is that they understand the process that it took to get to this stage. Have the 20’ distance marked on the floor in an appropriate location. Each group should have an “X” amount of times throwing their product, and students should record their results in their Design Brief under Test. After every product has been thrown, have the students complete the Design Brief, or use the questions as talking points in a class discussion to close the lesson.